Update 4/3/19: When this was originally posted in June of 2016 Mint flights were getting 1.7¢ in value. At some stage this dropped to 1.4¢. TPG is now reporting that this has dropped even further and JetBlue Mint flights are getting approximately 1.09¢ in value. Let’s take a look at each of the options and see how much value you can get from your JetBlue points. JetBlue doesn’t have an award chart like most other airlines, instead points can be used for all flights that are bookable with cash (there is a 3,500 1,000 point minimum that must be redeemed though). The amount of points that is required is tied to the cash value of the flight and some other factors as well. Wandering Aramean has a really in depth post on the value of points that I’d recommend reading. I’ll summarize the post into a quick few bullet points for quick reference. Knowing that you can get a baseline value of 0.97¢ per point is useful. These maximum values don’t always seem to be accurate anymore, as recently you could get almost 5¢ per point on flights to Cuba. More on this change here. It’s not possible to book a vacation package with only JetBlue flights, you must use a combination of points & cash. You also won’t earn any JetBlue points on these bookings, nor will you be able to use a promotional code with these bookings. I did a few searches and they all seemed to return a value of 1.55¢ per point (I’m not sure if that’s just a fixed rate of I got lucky). Just keep in mind you’re missing out on 6x JetBlue points when using cash + points and that usually it’s going to be cheaper to book the hotel and flight separately (especially when you account for discounts you can get from third party hotel websites). It might be worth considering a Vacation Package if you have the JetBlue Plus (personal or business card) as you get a $100 statement credit annually. I compared to the RRP, nobody really pays the recommend price for these magazine or newspaper subscriptions these days. There will also be a limit to the amount of magazines/newspapers you want to be receiving. It’s possible to donate JetBlue points to select charities. Unfortunately these donations are not tax deductible. There is a minimum of 500 points that can be donated and all of the points go directly to the charity. Realistically the only thing you’ll want to redeem your JetBlue points are for flights with either JetBlue or Hawaiian Airlines, I don’t think any of the other options provide good value. 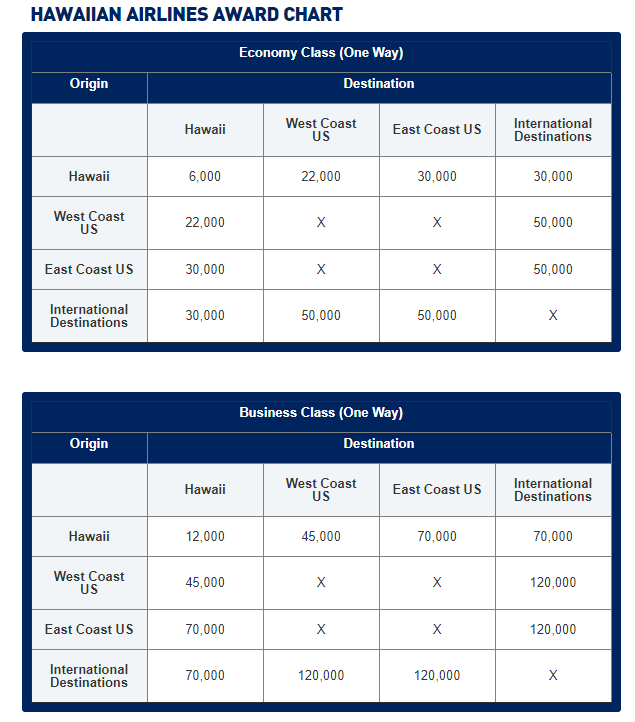 At minimum you’re looking at about 1¢ in value and a maximum of about 1.4¢, JetBlue doesn’t provided outsized value on business/first class international flights like other airlines but they do provide some good value none the less. If anybody has any thoughts/corrections then let me know in the comments. I know everyone always links to that Wandering Aramean post but in my experience points can be worth 2cpp or more. Two recent examples: one-way (last minute) flight from Colombia to NY, cash price $488/cost in points 11,300 + ~$82; one-way NY to Colombia, cash price $275, points price 8,300 + ~$20. Have seen it as low as 7400 points. Sometimes it’s the reverse, cheap-ish price but costing more points. In truth it seems almost random. Maybe it’s only Colombia that has the bargains (?) but for me the points have been great as their prices generally are not that low. Just got the cc for the 10% back feature. I’ll do a little more research on this at some stage. Thanks for the DP. Has anyone emailed Jetblue since Saturday and received confirmation of their eligibility for the match promo? I emailed Saturday morning and have heard nothing. I heard the confirmations came pretty quickly on Friday, which is why I am interested in data points from people who emailed beginning Saturday. I emailed on Saturday evening and received a response on Monday afternoon. Families can also pool JetBlue points which is huge for saving spare points. I also looked into transferring points to virgin for the match, but they only fly to Boston and Fort Lauderdale out of Nashville, and the flight times are inconvenient to make a transfer to anywhere other than the east coast. Sad. At this stage you’re leaving things a little late, I think the SPG points will post in time but I don’t know how quickly the other points post. so if i am unable to take one of the flights can i book the roundtrip from my account for someone else? For folks with Mosaic status (who can use Points to upgrade to Even More Space seats), upgrade seats is by far the best value for TrueBlue Points. On a recent cross-country flight, the price to upgrade to EMS was $95 or 1,100 Points—that’s 8.6cpp. Obviously, you can only redeem Points for EMS seats once you’ve booked a flight, but, in theory, you can book a flight using cash and upgrade your seat using Points. Yeah except that other airlines give their elite flyers upgrades to these slightly better seats for free and Jetblue makes you pay points and think you got great value. JetBlue can also be transferred to Amtrak using points.com at a 2:1 rate, which yields ~1.4 cent value on non-saver (and non-Acela) Amtrak reservations. The biggest problem I have with JetBlue is their “weather cancellations” when there is no inclement weather and their horrendous delays. JetBlue just hit a new low in the January 2019 DOT report as the lowest of the 10 US carriers in on time arrivals, even worse than frontier. As for cancellations, JetBlue ranked 13 out if 17 below every major US carrier and even below Southwest, who at least had an excuse for their cancellations because of the issue with their mechanic unions. So while the points may get you a cheap flight, you might want to factor in what it will cost you if you won’t get where you want because you will get there 5 hours late or won’t get there until 2 days later if they cancel your flight. I also noticed that. I have been having lots of minor delays from 30 minutes – 2 hours which are really annoying when the weather is perfect and every other airline at the airport has no delays. I think they have the Delta problem… Lots of planes go in or out of JFK/BOS at some point in the day, so any issues there cascade through the rest of the network. I just did a few searches out of BOS with Mint flights as cheap as $449, and it’s consistently getting right around 1. This is a sad development. Will: Am I missing something here? “Mint fares (basically their business class product) 1.09¢ per point” which seems to be towards the bottom of redemptions and then you write “real value seems to be in their Mint product”? Possibly worth mentioning in all this is the 10%-20% in unlimited points rebates you can get by stacking the JetBlue credit cards. Exactly how you want to compute this rebate is up to you, but if I’m considering where to transfer my, say, Citi points, knowing each point converted is actually worth 1.1 or 1.2 times the typical redemption value could change the best transfer partner. There is no such thing as a 20% rebate, that is dead, wherever you read that from.